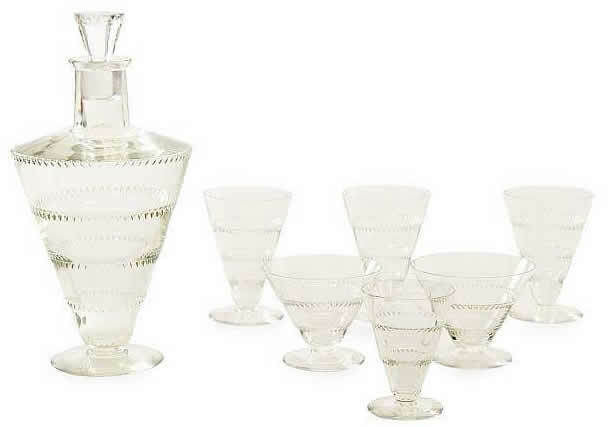 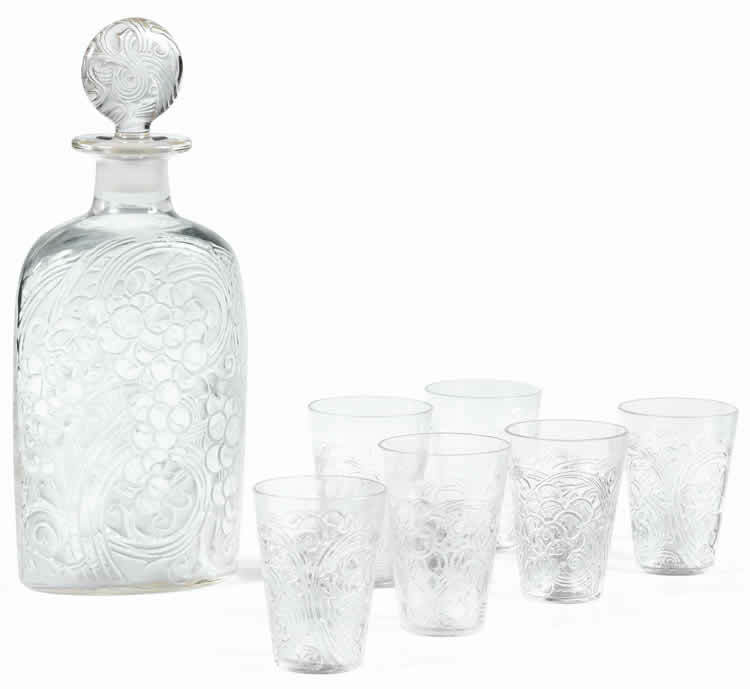 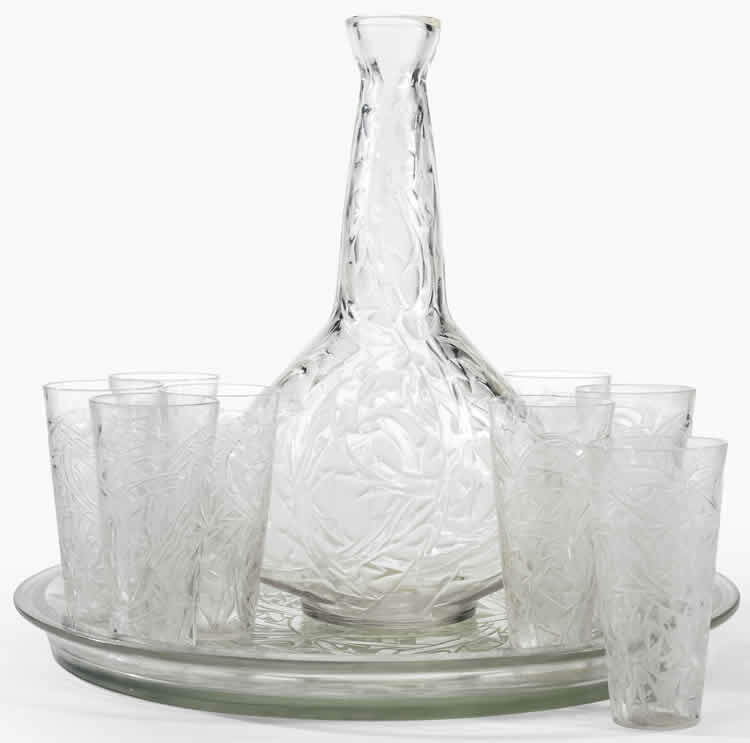 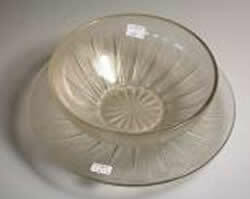 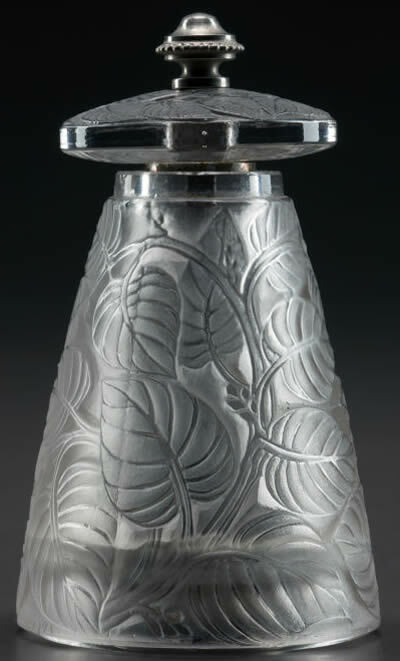 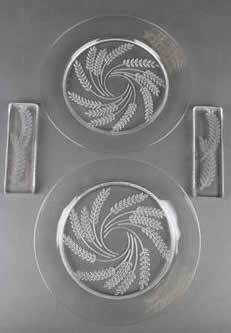 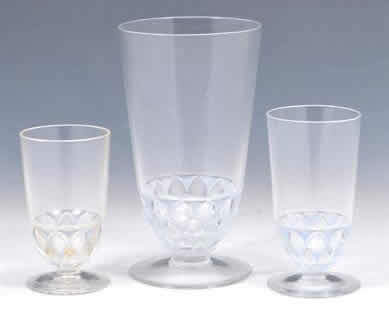 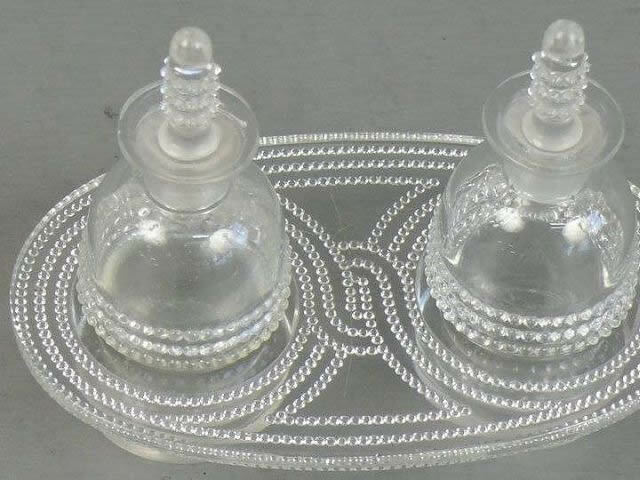 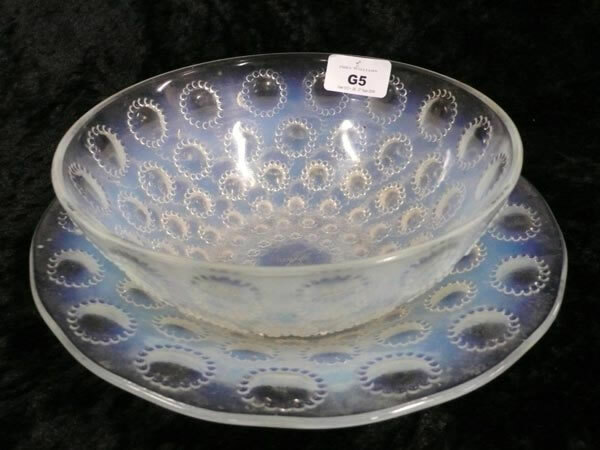 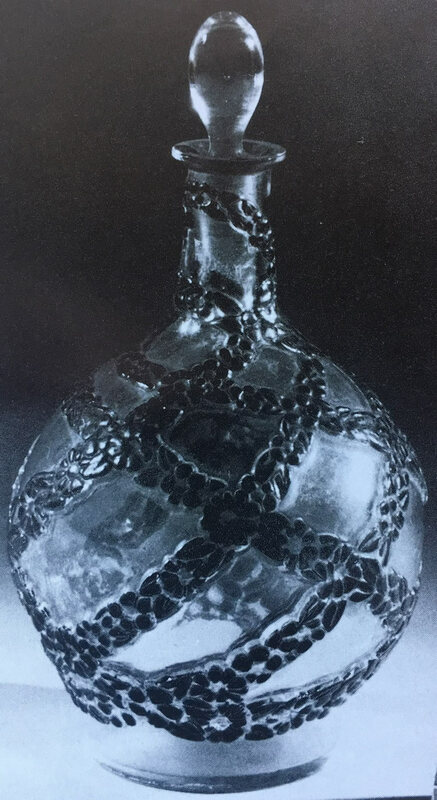 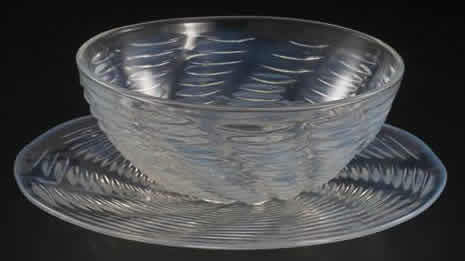 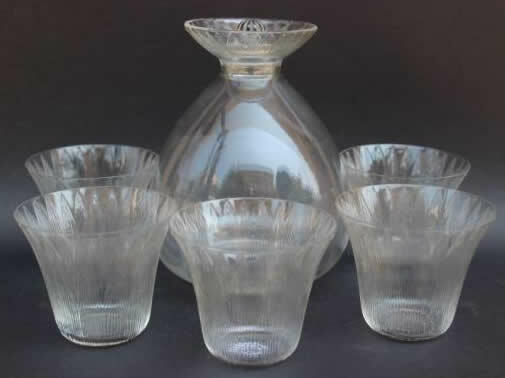 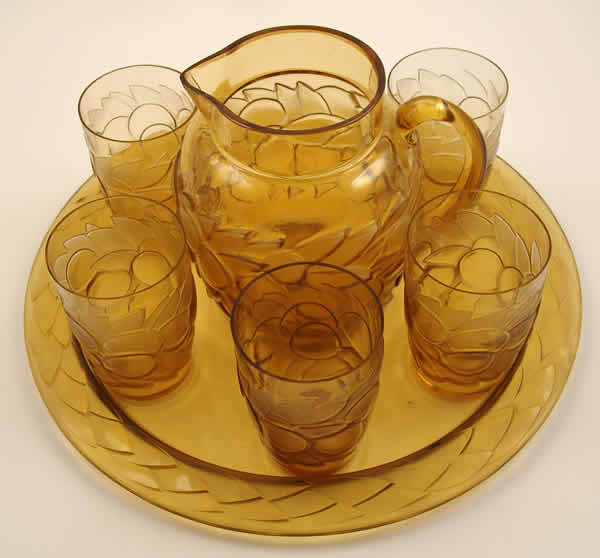 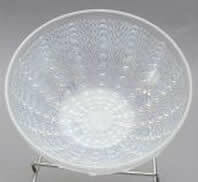 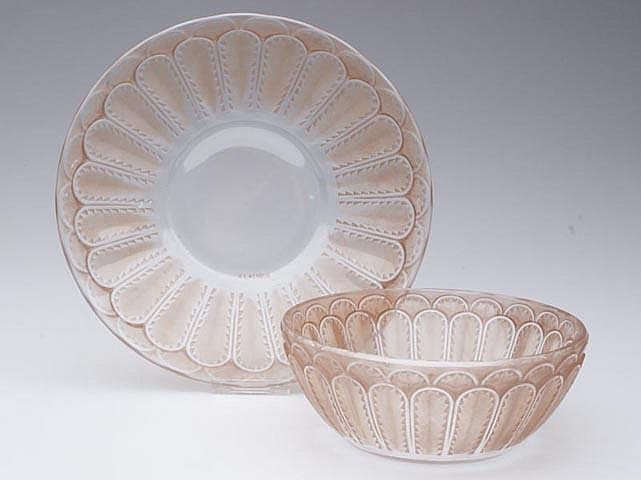 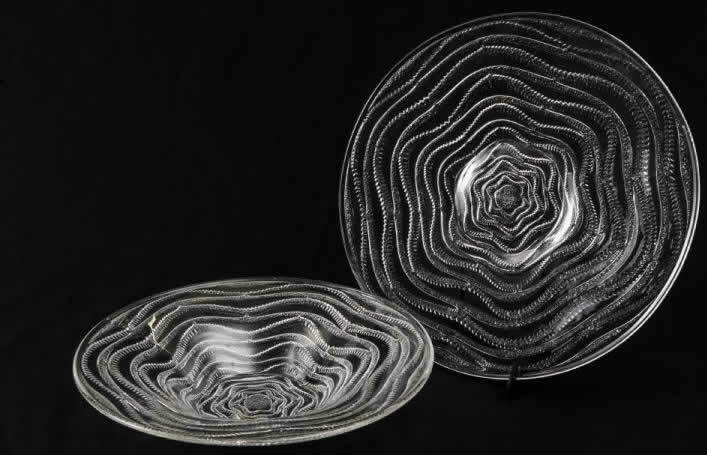 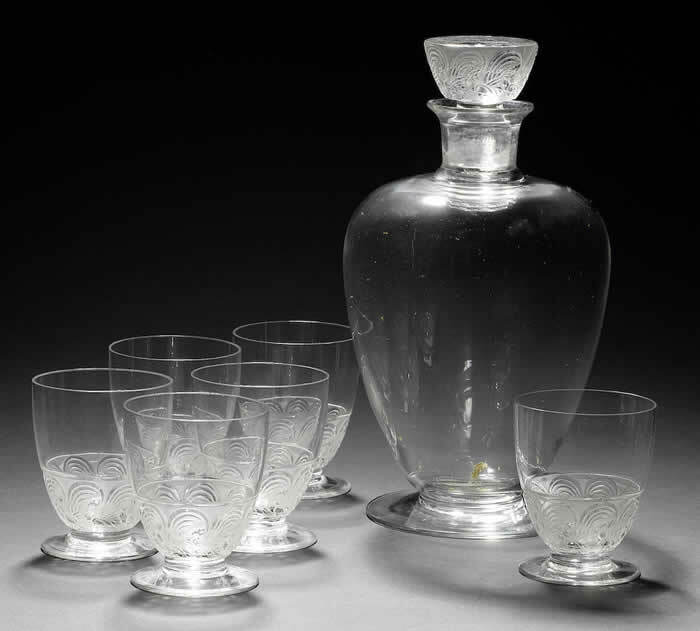 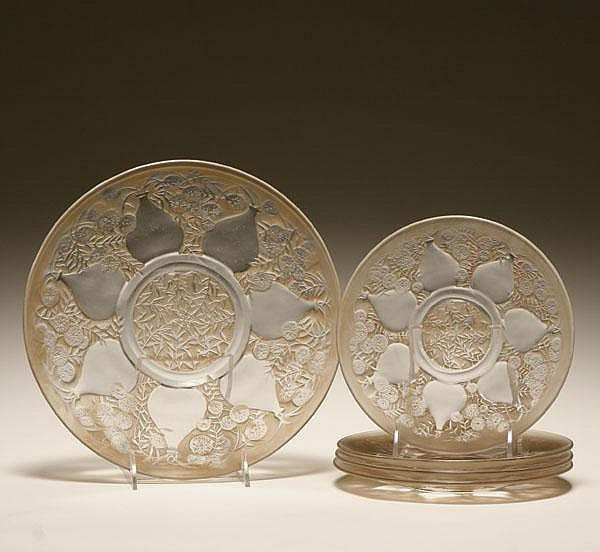 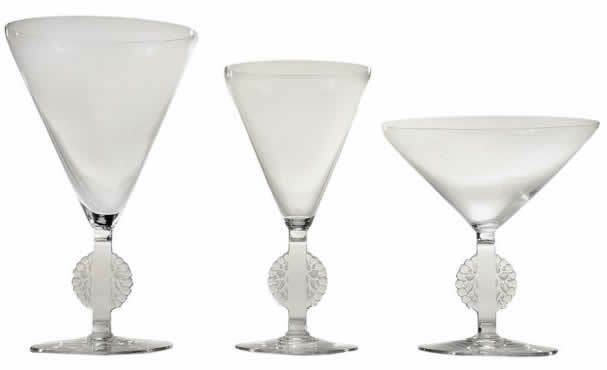 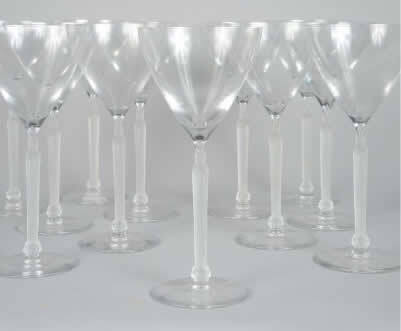 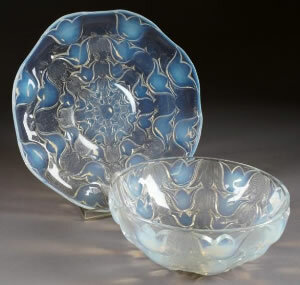 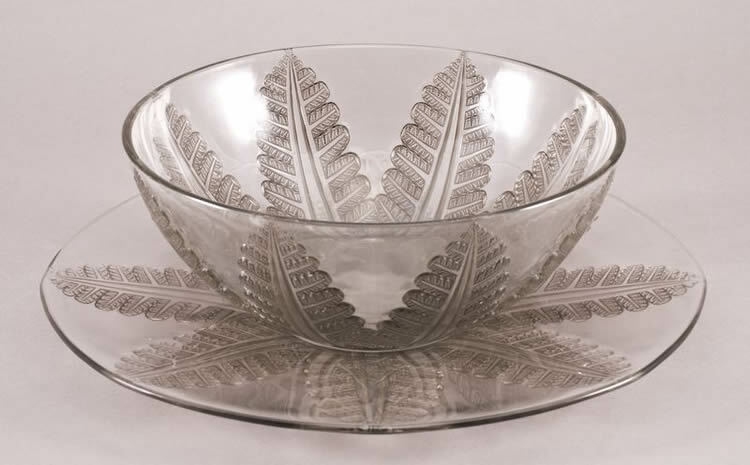 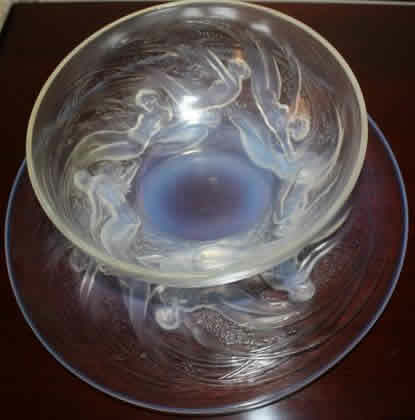 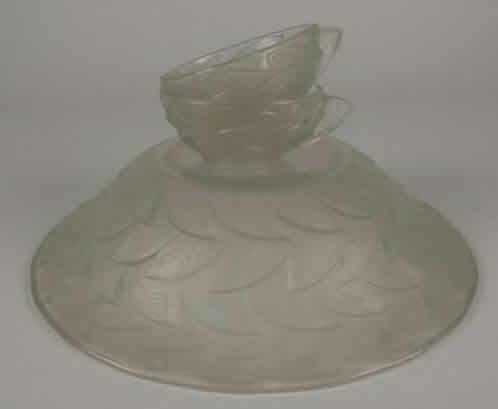 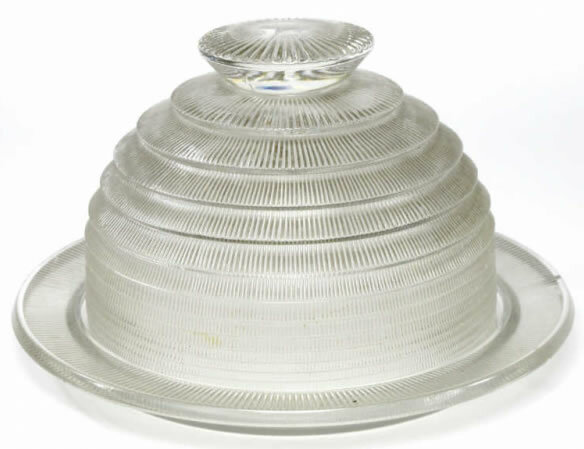 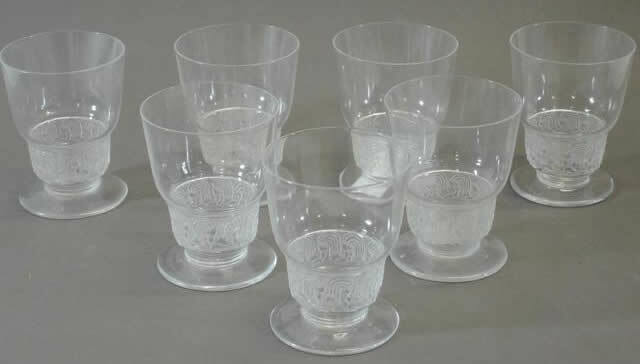 Rene Lalique Tableware: On this page are examples of all the Lalique Miscellaneous Tableware in our database. 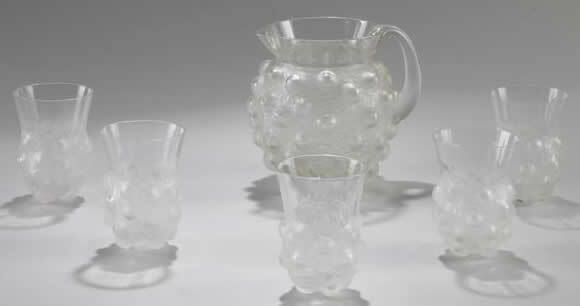 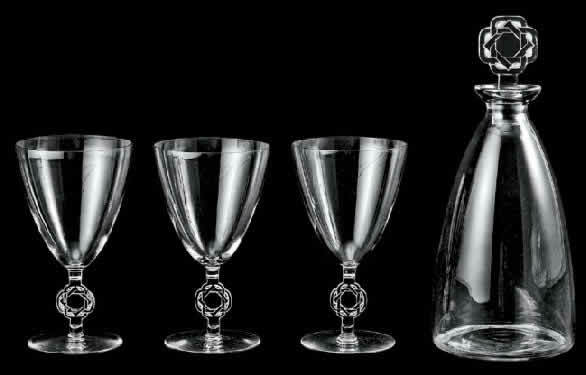 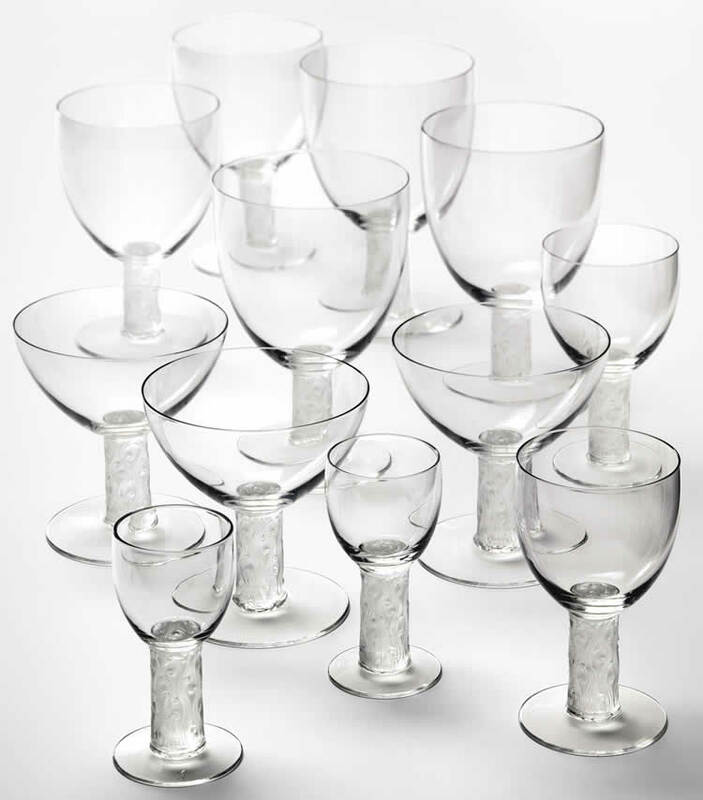 Tableware miscellaneous are objects created for everyday use that are not included in other categories of the Rene Lalique Catalogue. 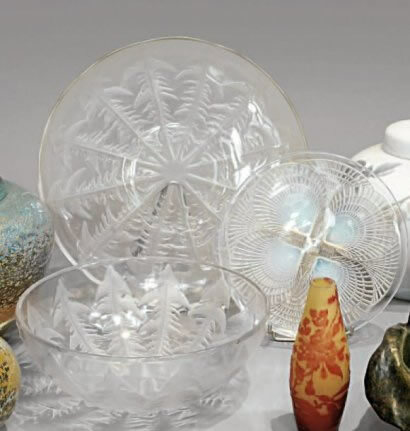 Here you will find butter dishes, napkin holders, coasters, salts, jam pots, cruets for oil and vinegar, cocktail shakers, tantaluses, cigarette holders, and swizzle sticks. 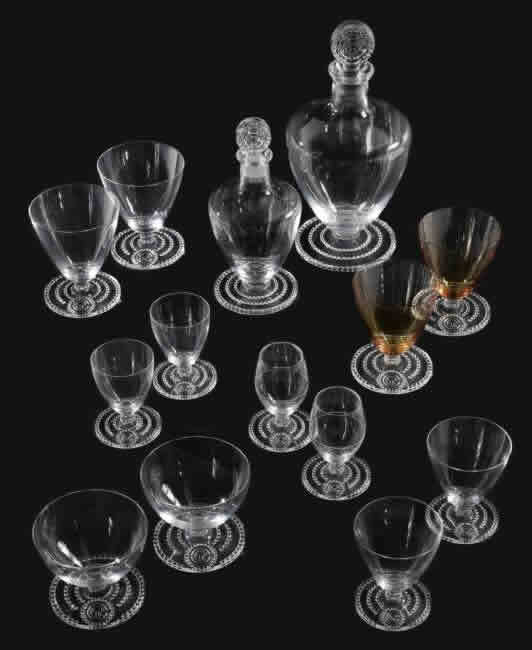 Also catalogued here are sets of items that have appeared, the pieces of which are invdividually listed elsewhere. 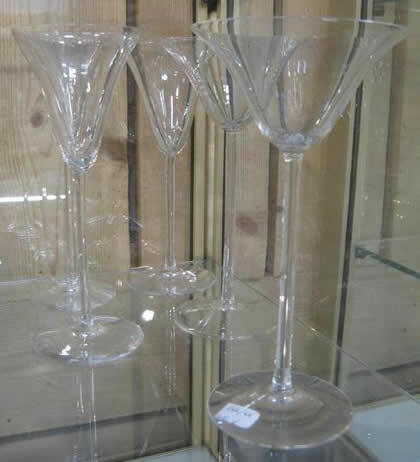 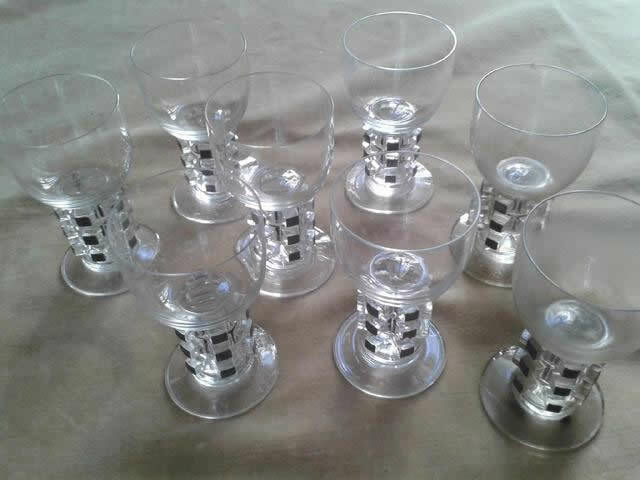 So you also will see various lemonade or orangeade services, drinks service or place settings, dinner services, salad sets, or groups of tableware. 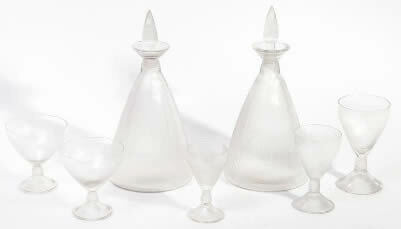 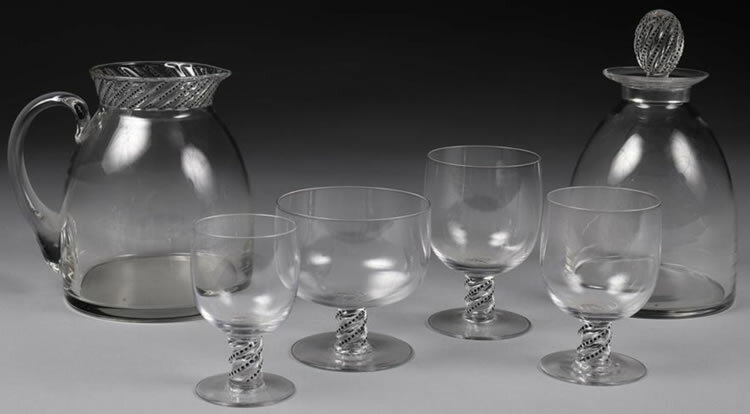 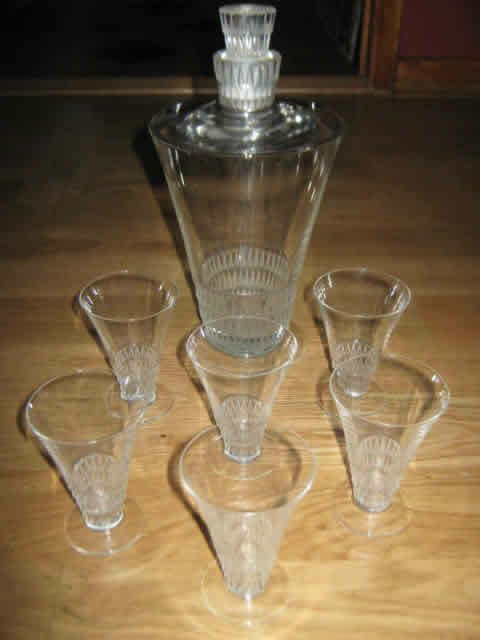 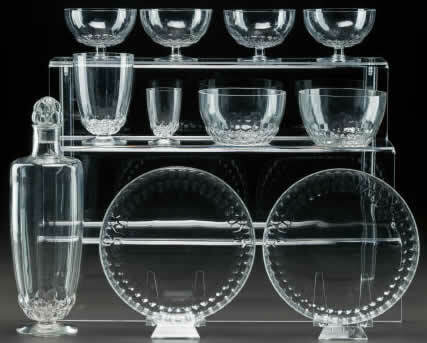 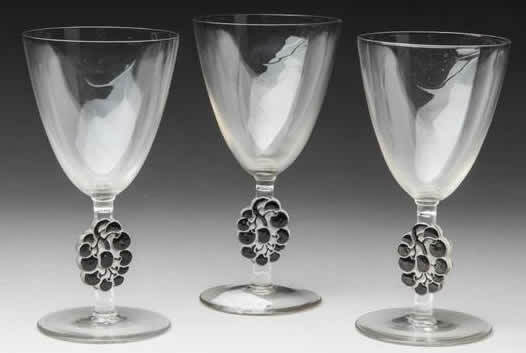 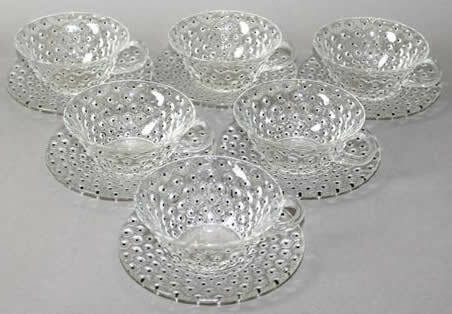 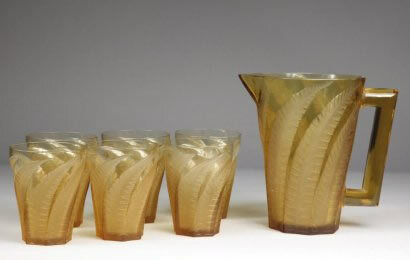 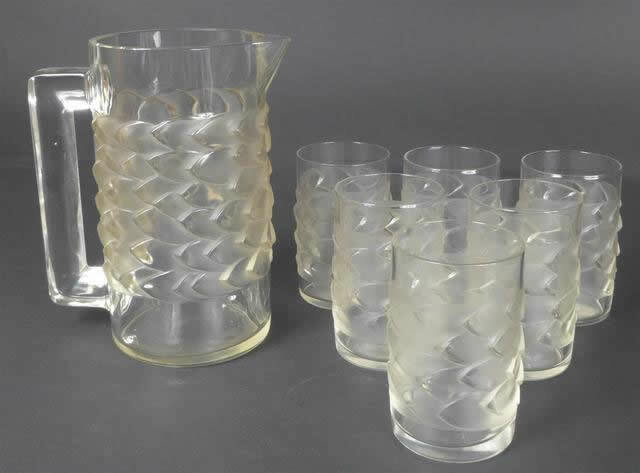 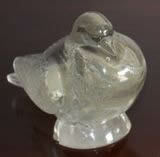 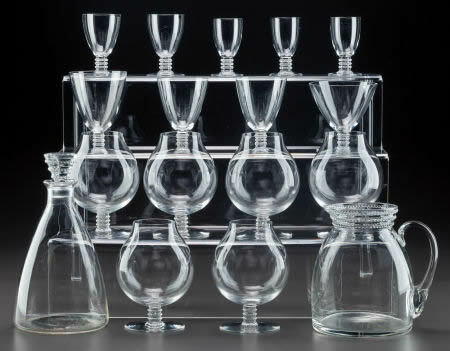 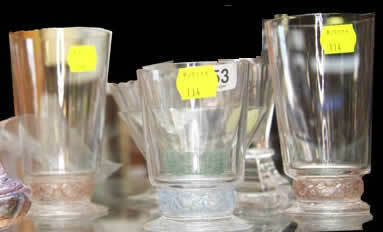 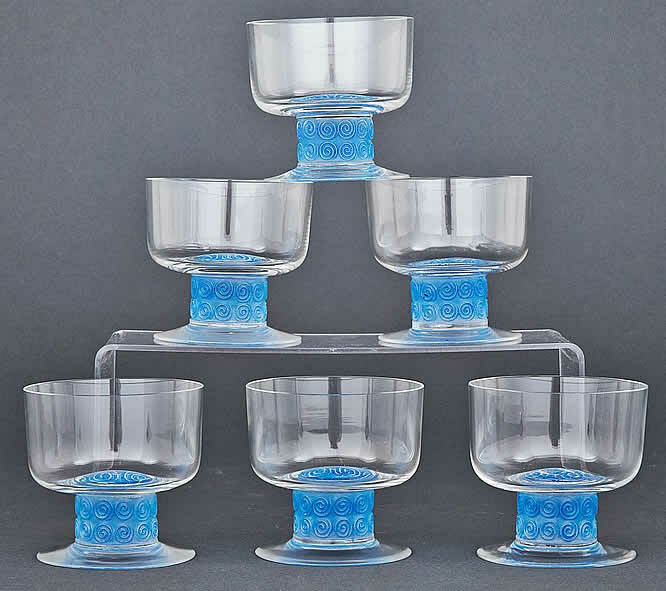 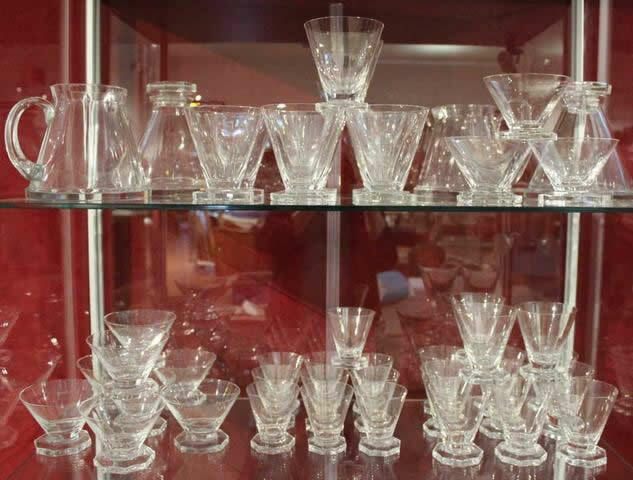 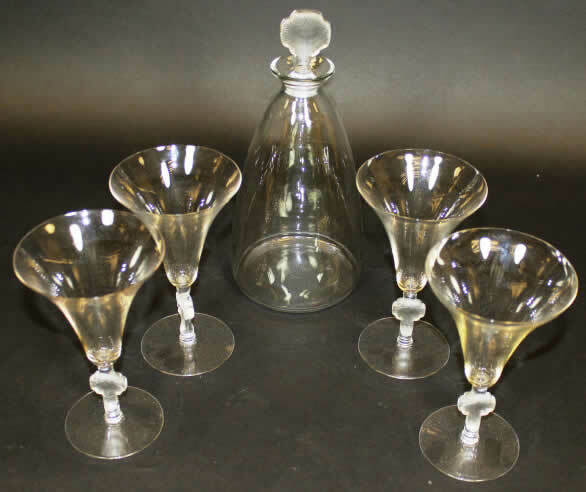 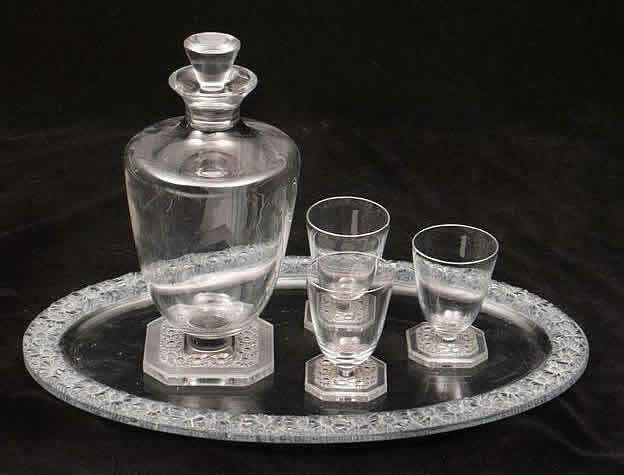 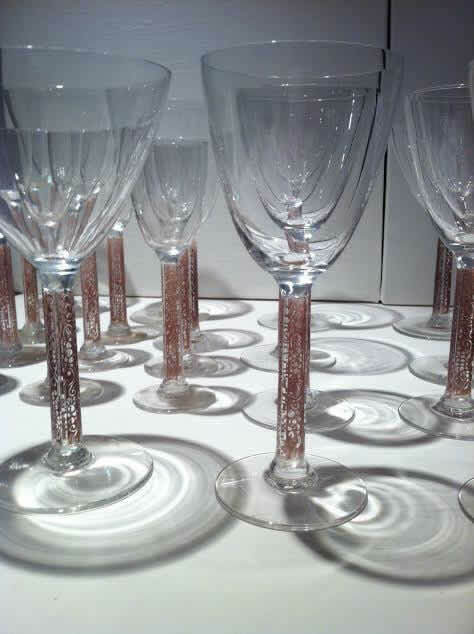 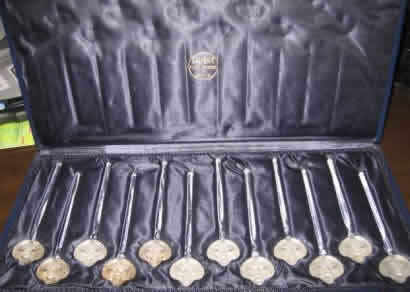 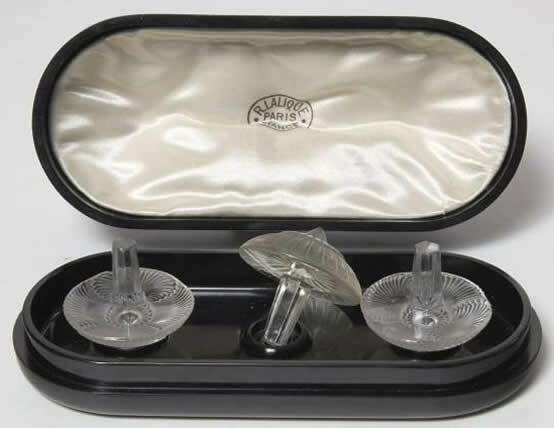 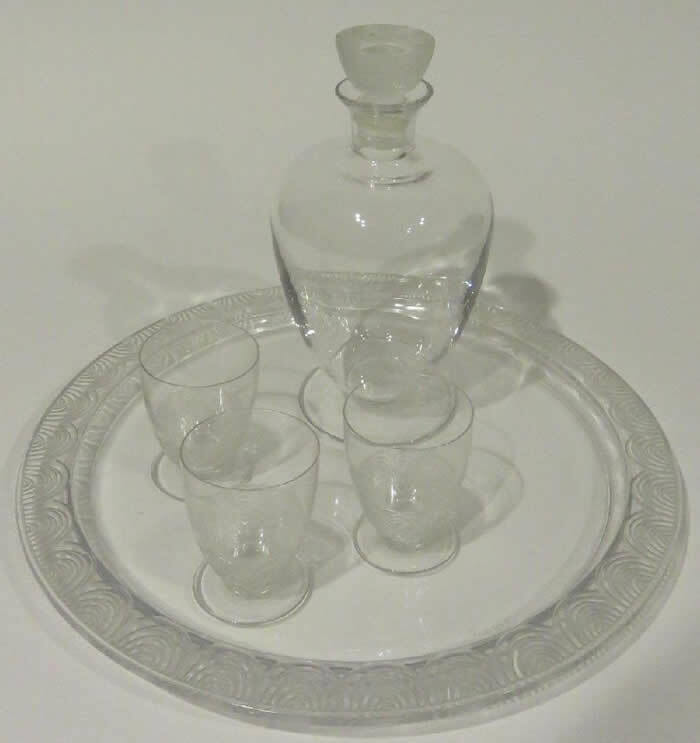 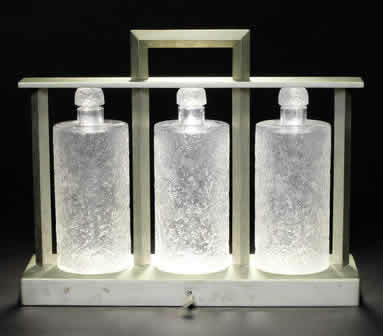 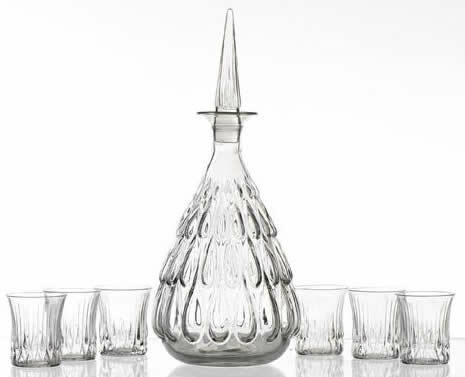 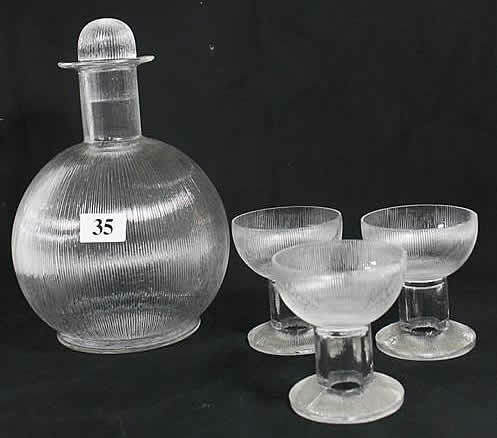 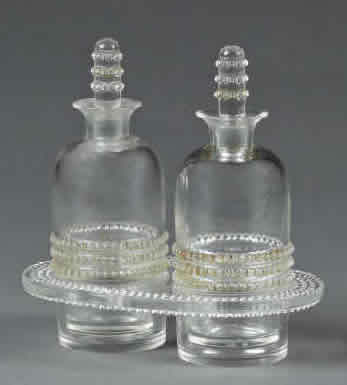 Some of these sets were marketed by Rene Lalique as sets. 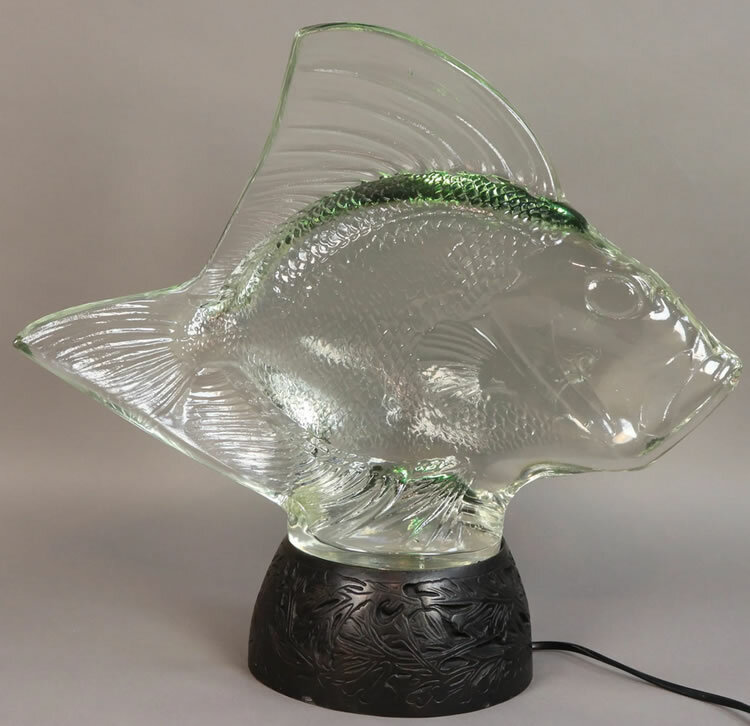 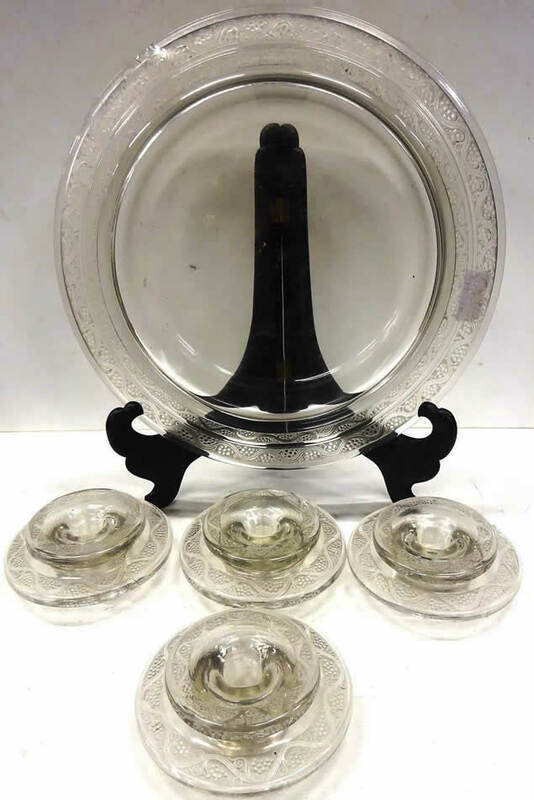 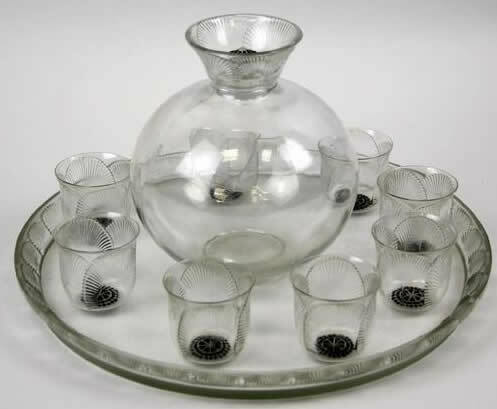 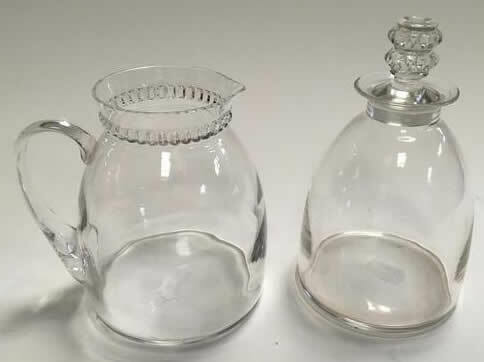 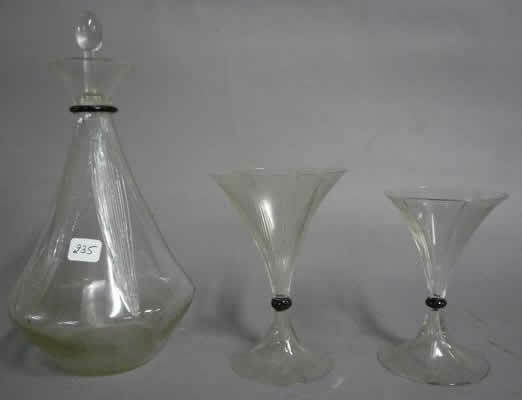 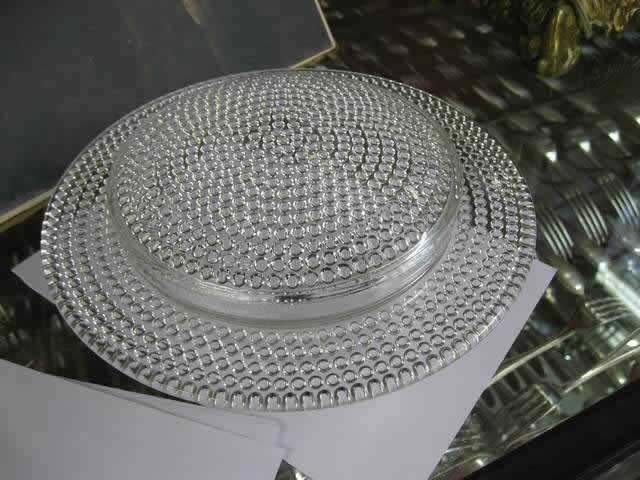 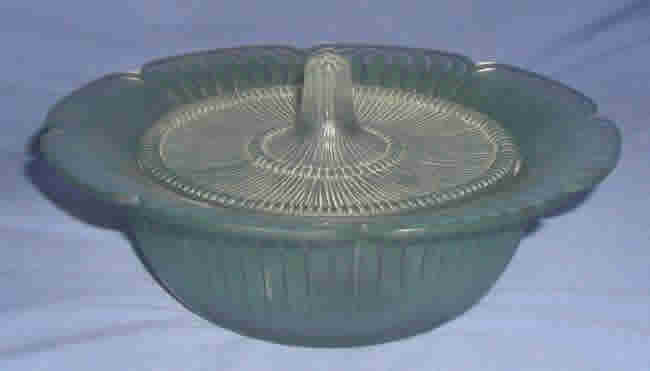 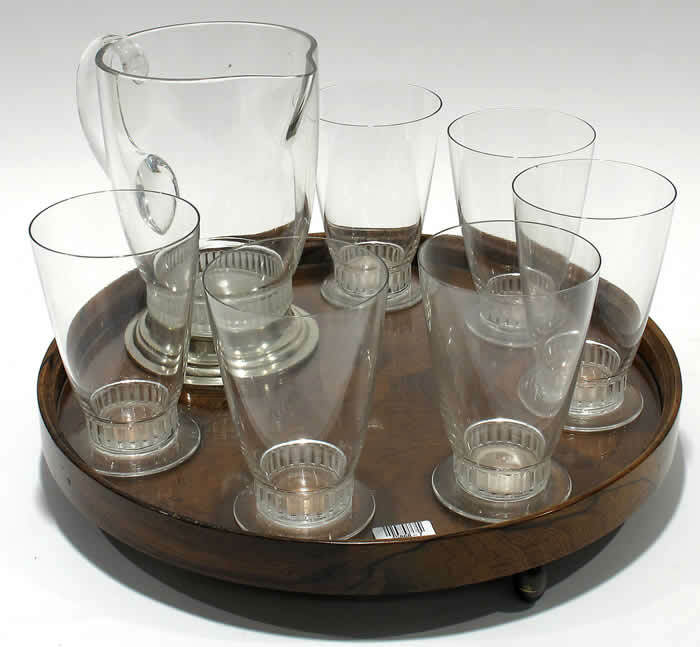 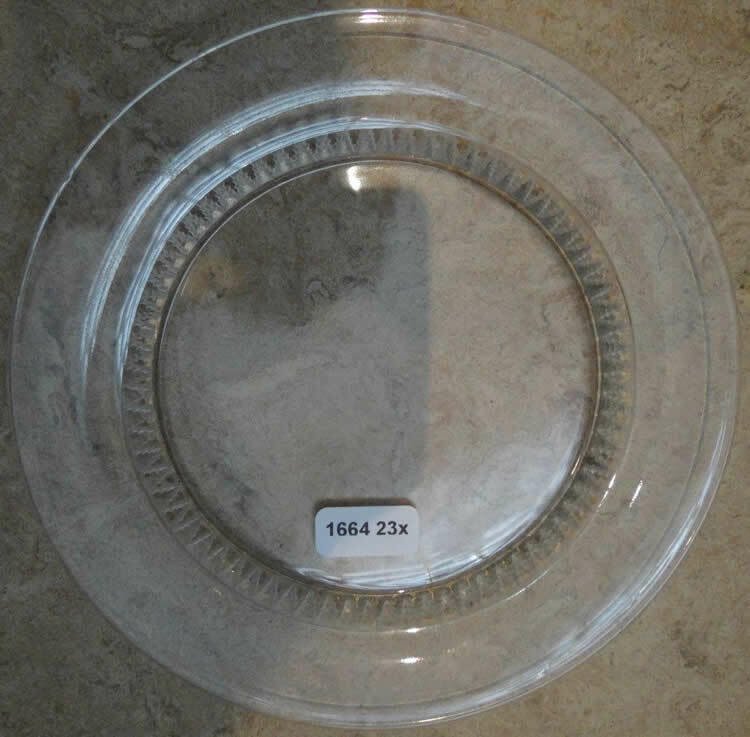 Others were assembled from the different models of the same design by the buyer just as you would chose today when shopping for anything from a gift to large dinner service. 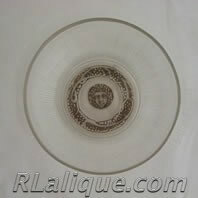 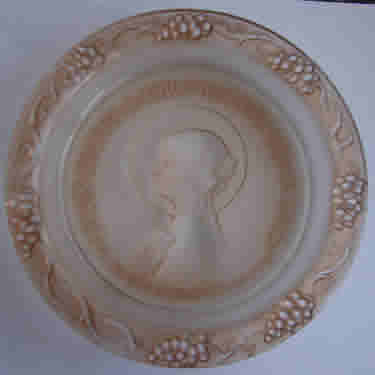 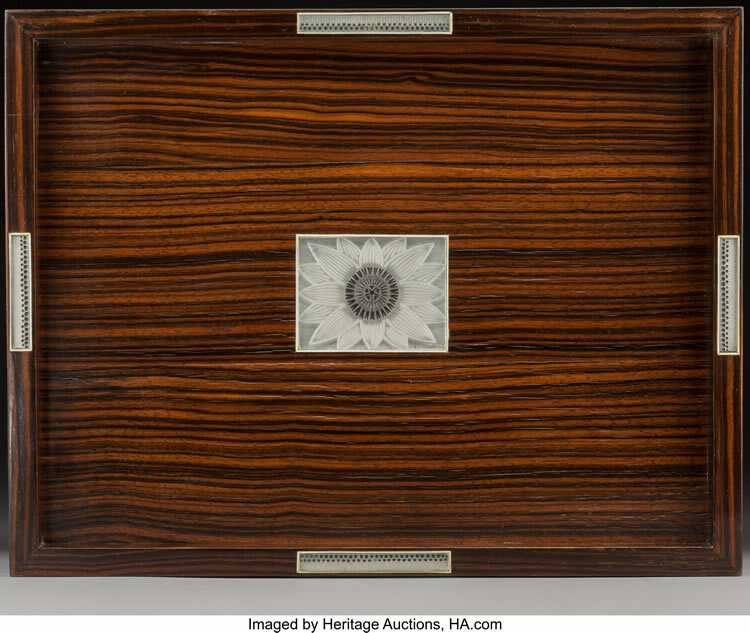 The links below will take you to the page for the item shown or a model page for that model tableware.